The suspect, along with several "fillers" or "foils"—people of similar height, build, and complexion who may be prisoners, actors, police officers, or volunteers—stand side-by-side, both facing and in profile. The lineup sometimes takes place in a room for the purpose, one which may feature a one-way mirror to allow a witness to remain anonymous, and may include markings on the wall to aid identifying the person's height. For evidence from a lineup to be admissible in court, the lineup itself must be conducted fairly. The police may not say or do anything that persuades the witness to identify the suspect that they prefer. This includes loading the lineup with people who look very dissimilar to the suspect. Photographs of the suspect and fillers can be shown to the identifier in what is called a "photo-lineup", or a "six pack". If the victim or witness successfully identifies the suspect from among the fillers, the identification is considered valid. There is some research into using other methods of photo-lineup that involve the witness sequentially viewing photographs rather than simultaneously. The sequential method is considered more accurate because it prevents the witness from looking at all the suspects and merely selecting the person that most resembles the guilty person. A "show-up" is another alternative, in which a suspect is individually shown to a witness. Many UK police forces use Video Identification Parade Electronic Recording (VIPER), a digital system wherein witnesses view video recordings of suspects and unrelated volunteers. Sequential lineups is one of the two lineup methods used for eyewitnesses to identify criminals in police station. In a standard sequential lineup, the suspects or their photos are presented one at a time to the witnesses only once. Witnesses make decisions about each individual suspect before the next one is shown and they do not know the total number of suspects. Although it is hard to pinpoint exactly when sequential lineups were first studied, the knowledge that simultaneous lineups often failed and convicted an innocent person has been common knowledge for many years. The advance of the popularity of sequential lineups can be traced to the Innocence Project and Gary Wells. He is a researcher of sequential lineups and has many studies that show that sequential lineups lead to less wrongful convictions. The early studies of sequential lineups found that there was a significant difference in the wrongful conviction of innocent persons. Since these early studies there has been a push to increase the accuracy of eyewitness memory even more. One of the ways this is accomplished is by having not just sequential lineups, but also double-blind sequential lineups. A double-blind sequential lineup is conducted by making sure that neither the witness nor the person conducting the lineup has any idea who the real suspect is. This eliminates any bias the person conducting the lineup may have on the witness. The research for double-blind studies had shown that "now we have proof from the field that witnesses who view double-blind sequential lineups are just as likely to pick the suspect, and perhaps more importantly, less likely to make a misidentification by picking a filler in the lineup." The two types of lineups are sequential lineup and simultaneous lineup. The difference between two lineups is how the suspects are presented. In simultaneous lineup, the suspects or photos are presented in a group (commonly six or nine). People engage in absolute judgment during sequential lineups. For each suspect/ photo, they are asked whether or not they recognize the person. Witnesses have to depend only on their memory to make the judgment. In simultaneous lineups, people engage in relative judgment. Because there are more than one suspects presented at a time, witnesses may pick the one who most closely resembles the culprit relative to others. Research findings on lineup methods generally suggest that both criminal identification and mistaken rates are higher in a simultaneous lineup than in a sequential lineup. The superiority of the two methods are arguable and there are research evidence supporting each side. In a culprit-present situation (correct answer available), the correct identification rate is about 14% higher in a simultaneous lineup than in a sequential lineup. The filler selection rates for both groups are 24%. In a culprit-absent situation (all innocents), the mistaken identification rate is about 21% lower in a sequential lineup than in a simultaneous lineup. A sequential lineup lap is showing the suspects repeatedly after the first round while in a standard sequential lineup eyewitnesses can only view them once. The logic for a sequential lineup lap is that viewing the suspects again would increase the accuracy of correct identification since the eyewitnesses shall be more certain about their answer. Research on sequential lineup laps found that viewing the suspects for one more time has a large influence on witnesses' performance. Significant portion of witnesses moved from no-choice to choice, some changed answers and their confidence went up. Both correct identification rate and mistaken rate increased in sequential lineup lap when target was present; only mistaken rate increased when target was absent. While many states agree that sequential lineups are able to lower the wrongful conviction of innocents, they also notice that sequential lineups lead to more of a chance that the guilty would be overlooked and not convicted of their crime. Because of this many states do not want to implement a law that mandates that sequential lineups are the only lineup that can be used. These states are willing to accept the benefits of sequential lineups but do not want to give themselves only one option when conducting a lineup. There are different feelings about the advantages and disadvantages of sequential lineups. Gronlund, Carlson, Dailey, and Goodsell state one of the disadvantages, "Sequential lineups do not enhance accuracy but rather make eyewitnesses more conservative in their willingness to choose. 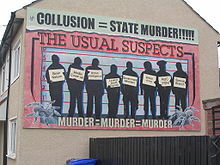 Although this is desirable when the police have an innocent suspect, it is problematic if the police have a guilty one." But Lindsay, Mansour, Beaudry, Leach, and Bertrand show one of the advantages of sequential lineups estimating that with them between 570 to 1425 innocent people will not be wrongfully convicted that would be with simultaneous lineups. According to the Innocence Blog on the Innocence Project website, many states and law enforcement agencies have already started to implement the tools that would be necessary to run double-blind sequential lineups but have yet to fully embrace these tools. Brain L. Cutler and Steven D. Penrod conducted this study in 1988 to examine multiple variables' influence on eyewitness' accuracy during a lineup. The participants were first given a videotaped store robbery and a questionnaire, then they were asked to identify the robber in a photo lineup. They were given different videotapes, different lineups, and different instructions. There were 175 participants total and they were all undergraduate college students. The results concerning sequential and simultaneous lineups were following: Correct identification rate: 80% for sequential lineups and 76% for simultaneous lineups (total). 78% for sequential lineups and 80% for simultaneous lineups when cues were strong. 84% for sequential lineups and 58% for simultaneous lineups when cues were weak. Mistaken rate in target-absent condition: 39% for simultaneous lineups and 19% for sequential lineups. In this study, the correct identification rates are very much higher across all situations than normal. They also did not find a significant enough difference in correct identification rate between simultaneous and sequential lineups when the target was present. Most studies found that the correct identification rate is higher for simultaneous lineups. In 2011, Steblay, Dysart, and Wells attempted to answer a debate that has been around since the concept of sequential lineups. Are they superior to simultaneous lineups? In an effort to reproduce the results found in previous studies done on sequential lineups, Steblay, Dysart, and Wells took and combined results from 72 tests from 23 different labs from across the world including Canada, the United Kingdom, the United States, Germany, and South Africa. These results included data from 13,143 people who participated as witness in the studies. In this study they found very similar results to previous studies that have been conducted. They found that sequential lineups are less likely to identify any type (whether guilty or not guilty) of a suspect than simultaneous lineups, but that when a suspect was identified he/she was more likely to be guilty using this method than a simultaneous lineup. They found that there is an 8% difference in suspect identification between sequential and simultaneous lineups, favoring simultaneous lineups; meaning that simultaneous lineups are more likely overall to identify the guilty suspect. This finding has decreased since 2001 where there was a 15% difference in favor of simultaneous lineups. They also replicated the findings that there is about a 22% difference between sequential and simultaneous lineups regarding errors in suspect identification; meaning that sequential lineups are less likely to identify the wrong suspect. The police can falsify the results of a lineup by giving hints to the witness. For example, they may let the witness "accidentally" see their preferred suspect in circumstances indicating criminality (e.g., in handcuffs) before the lineup. This is sometimes called an "Oklahoma showup" and has been claimed to have been used in the Caryl Chessman case. ^ "Where do police get the people for lineups?". The Straight Dope. November 21, 2006. Archived from the original on April 30, 2008. Retrieved July 7, 2007. ^ Campbell, Andrea; Ohm, Ralph C. (2007). Legal Ease: A Guide to Criminal Law, Evidence, and Procedure (2nd ed.). Springfield, Ill.: Charles C. Thomas Publisher. p. 176. ISBN 0-398-07731-2. ^ Zernike, Kate (April 19, 2006). "Study Fuels a Growing Debate Over Police Lineups". The New York Times. Retrieved July 7, 2007. ^ "Identification Procedures & Preparing the Case for Court". Administration of Justice 104. Rio Hondo College. August 2001. Retrieved July 23, 2011. ^ "Police to use virtual ID parades". BBC News. April 1, 2004. Retrieved April 18, 2012. ^ a b c Steblay, N. K., Dysart, J. E., & Wells, G. L. (2011). Seventy-two tests of the sequential lineup superiority effect: a meta-analysis and policy discussion. Psychology, Public Policy, and Law, 17, 99–139.